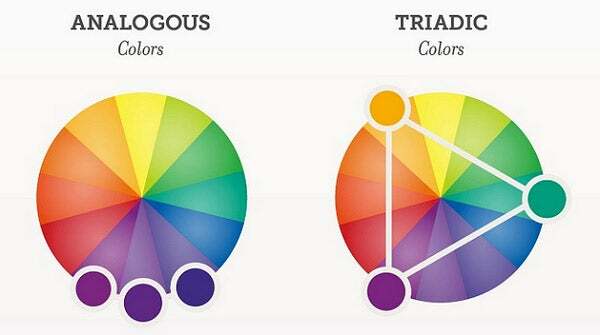 Why does color psychology invoke so much conversation ... but is backed with so little factual data? As research shows, it's likely because elements such as personal preference, experiences, upbringing, cultural differences, context, etc., often muddy the effect individual colors have on us. So the idea that colors such as yellow or purple are able to invoke some sort of hyper-specific emotion is about as accurate as your standard Tarot card reading. Don't fret, though. Now it's time to take a look at some research-backed insights on how color plays a role in persuasion. First, let's address branding, which is one of the most important issues relating to color perception and the area where many articles on this subject run into problems. ... but the truth of the matter is that color is too dependent on personal experiences to be universally translated to specific feelings. And in regards to the role that color plays in branding, results from studies such as The Interactive Effects of Colors show that the relationship between brands and color hinges on the perceived appropriateness of the color being used for the particular brand (in other words, does the color "fit" what is being sold). The study Exciting Red and Competent Blue also confirms that purchasing intent is greatly affected by colors due to the impact they have on how a brand is perceived. 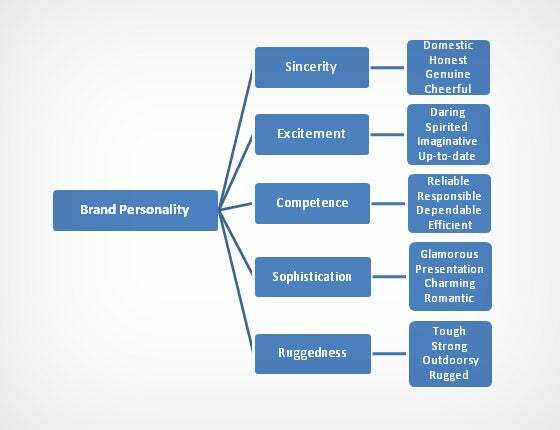 This means that colors influence how consumers view the "personality" of the brand in question (after all, who would want to buy a Harley Davidson motorcycle if they didn't get the feeling that Harleys were rugged and cool?). Additional studies have revealed that our brains prefer recognizable brands, which makes color incredibly important when creating a brand identity. It has even been suggested in Color Research & Application that it is of paramount importance for new brands to specifically target logo colors that ensure differentiation from entrenched competitors (if the competition all uses blue, you'll stand out by using purple). 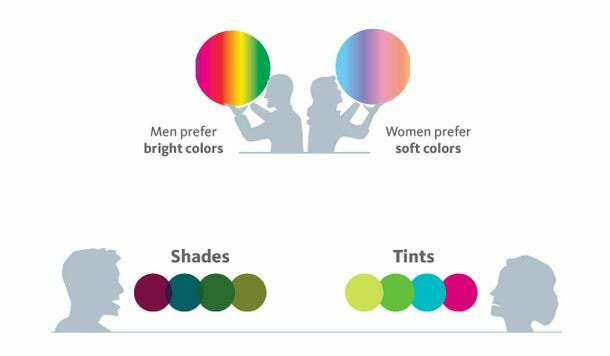 When it comes to picking the "right" color, research has found that predicting consumer reaction to color appropriateness in relation to the product is far more important than the individual color itself. So, if Harley owners buy the product in order to feel rugged, you could assume that the pink + glitter edition wouldn't sell all that well. Additional research has shown that there is a real connection between the use of colors and customers' perceptions of a brand's personality. Certain colors DO broadly align with specific traits (e.g., brown with ruggedness, purple with sophistication, and red with excitement). But nearly every academic study on colors and branding will tell you that it's far more important for your brand's colors to support the personality you want to portray instead of trying to align with stereotypical color associations. Consider the inaccuracy of making broad statements such as "green means calm." The context is missing; sometimes green is used to brand environmental issues such as Timberland's G.R.E.E.N standard, but other times it's meant to brand financial spaces such as Mint.com. And while brown may be useful for a rugged appeal (think Saddleback Leather), when positioned in another context brown can be used to create a warm, inviting feeling (Thanksgiving) or to stir your appetite (every chocolate commercial you've ever seen). Bottom line: I can't offer you an easy, clear-cut set of guidelines for choosing your brand's colors, but I can assure you that the context you're working within is an absolutely essential consideration. It's the feeling, mood, and image that your brand creates that play a role in persuasion. Be sure to recognize that colors only come into play when they can be used to match a brand's desired personality (i.e., the use of white to communicate Apple's love of clean, simple design). Without this context, choosing one color over another doesn't make much sense, and there is very little evidence to support that 'orange' will universally make people purchase a product more often than 'silver'. Perceived appropriateness may explain why the most popular car colors are white, black, silver and gray ... but is there something else at work that explains why there aren't very many purple power tools? One of the better studies on this topic is Joe Hallock's Colour Assignments. Hallock's data showcases some clear preferences in certain colors across gender. It's important to note that one's environment--and especially cultural perceptions--plays a strong role in dictating color appropriateness for gender, which in turn can influence individual choices. Consider, for instance, this coverage by Smithsonian magazine detailing how blue became the color for boys and pink was eventually deemed the color for girls (and how it used to be the reverse!). The above infographic from KISSmetrics showcases the disparity in men and women's color preferences. 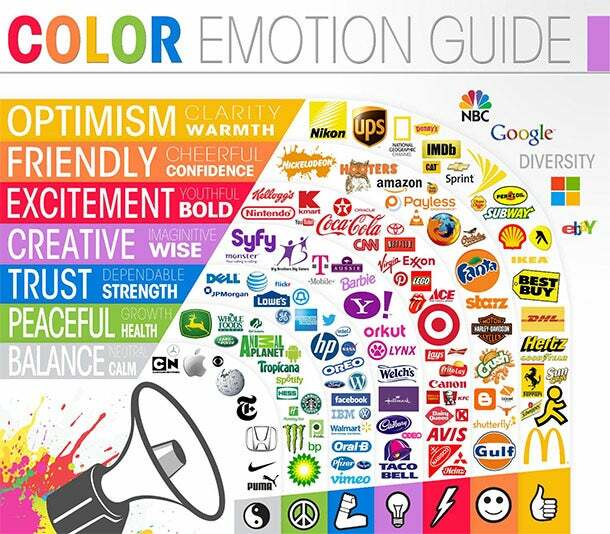 Keep this information in mind when choosing your brand's primary color palette. Given the starkly different taste preferences shown, it pays to appeal more to men or women if they make up a larger percentage of your ideal buyers. 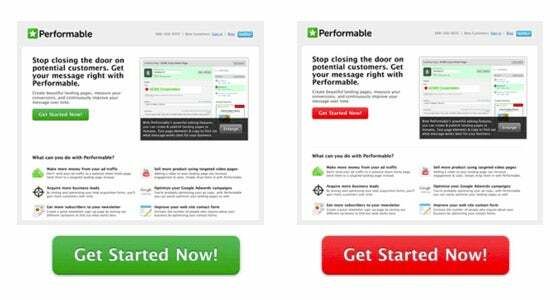 Debunking the "best" color for conversion rates on websites has recently been a very popular topic (started here and later here). They make some excellent points, because it is definitely true that there is no single best color for conversions. The psychological principle known as the Isolation Effect states that an item that "stands out like a sore thumb" is more likely to be remembered. Research clearly shows that participants are able to recognize and recall an item far better (be it text or an image) when it blatantly sticks out from its surroundings. The studies Aesthetic Response to Color Combinations and Consumer Preferences for Color Combinations also find that while a large majority of consumers prefer color patterns with similar hues, they favor palettes with a highly contrasting accent color. Why this matters: Although you may start to feel like an interior decorator after reading this section, this stuff is actually incredibly important in helping you understand the why behind conversion jumps and slumps. 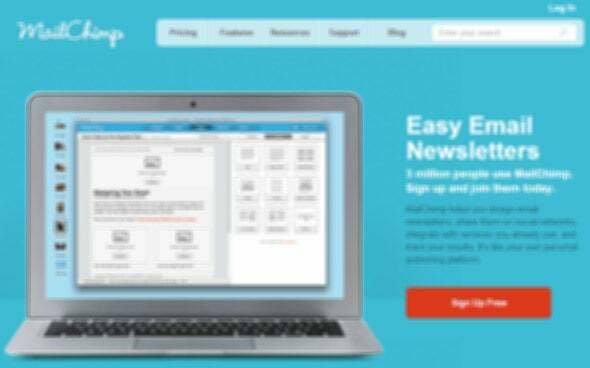 As a bonus, it will help keep you from drinking the conversion rate optimization Kool-Aid that misleads so many people. 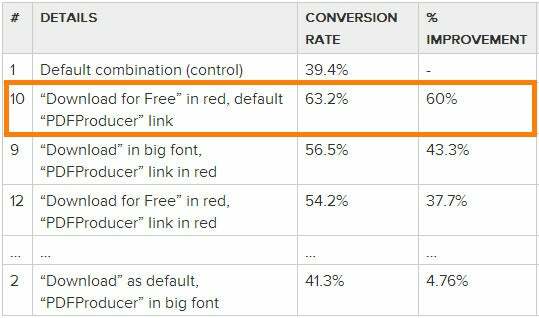 The button change to red boosted conversions by 21 percent, but that doesn't mean that red holds some sort of magic power to get people to take action. Take a closer look at the image: It's obvious that the rest of the page is geared toward a green palette, which means a green call to action simply blends in with the surroundings. Red, meanwhile, provides a stark visual contrast (and is a complementary color to green). As you can see, example #10 outperformed the others by a large margin. It's probably not a coincidence that it creates the most contrast out of all of the examples. You'll notice that the PDFProducer text is small and light gray in color, but the action text ("Download for Free") is large and red, creating the contrast needed for high conversions. While this is but one study of many, the isolation effect should be kept in mind when testing color palettes to create contrast in your web design and guide people to important action areas. Why We Love "Mocha" but Hate "Brown"
Although different colors can be perceived in different ways, the names of those colors matters as well! According to this study, when subjects were asked to evaluate products with different color names (such as makeup), "fancy" names were preferred far more often. For example, mocha was found to be significantly more likeable than brown--despite the fact that the researchers showed subjects the same color! Additional research finds that the same effect applies to a wide variety of products; consumers rated elaborately named paint colors as more pleasing to the eye than their simply named counterparts. 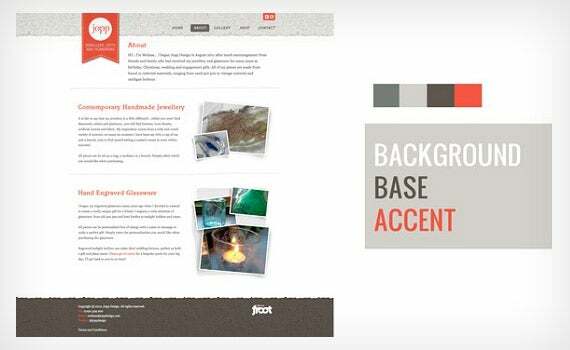 It has also been shown that more unusual and unique color names can increase the intent to purchase. For instance, jelly beans with names such as razzmatazz were more likely to be chosen than jelly beans names such as lemon yellow. This effect was also found in non-food items such as sweatshirts. As strange as it may seem, choosing creative, descriptive and memorable names to describe certain colors (such as "sky blue" over "light blue") can be an important part of making sure the color of the product achieves its biggest impact.